#WeekendCalltoAction – TGIF – The Grind Includes Friday – Create a cadence frequency plan of attack! Actually write it down! 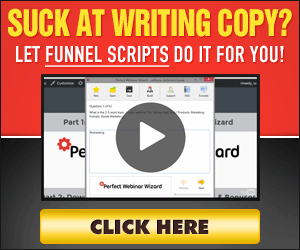 YOU WANT TO CONVERT MORE LEADS RIGHT? Well what are you doing to actively “attack” and proactively gain interest. We talk about funnels and lead gen all the time. The common question is, Shawn, what’s the conversion rate? Well, Bob, it depends on the sales person and how hungry they are. lol – My typical response. Here’s the call to action to help you CONVERT more leads. If you have a CRM great, see if you can “program” in it a reminder to set actions like, on the second touch Text them, IM them and send them a message on LinkedIn. On the third touch (day 3) maybe send them yet another email, call, and then Facebook them. Reply to a comment they have done, or follow them and or post on their wall, or comment on their post. Friend them, see if they are on twitter, instagram etc. You should have a cadence frequency set up for at least TWO WEEKS, before you just let your “email drip” campaign take over completely. In my opinion, this is where most sales people fail, not only are they “giving up” after the 1st or 2nd no (or no contact) they aren’t thinking outside the box to actually reach the client. Not every client is on Facebook, some may spend more time on LinkedIn and that’s the best place to reach them. The job of the sales person is to figure this out. A PROFESSIONAL SALESPERSON is like a PRO STALKER, literally. Sad to say to most sales organizations do NOT have any frequency in place to help guide their salespeople to success. So you needs to create a frequency for? I got your back, hit me up, let’s start you off with something organic that teaches you how to PUSH and PULL your messages on Social Media to increase your reach, relevancy and results in free leads! It’s called my Blueprint. And is the ultimate fan page guide to help you gain leads. It’s a stepping stone for those that want to get into paid ads. PS – I’m going wide next week.